Whether for transportation or industrial applications: the ability to quickly and accurately detect current is required in order to precisely control power electronics systems such as frequency converters, traction converters, UPS systems or welding systems. HARTING Hall-effect current sensors have been specifically designed to measure high currents in such environments. 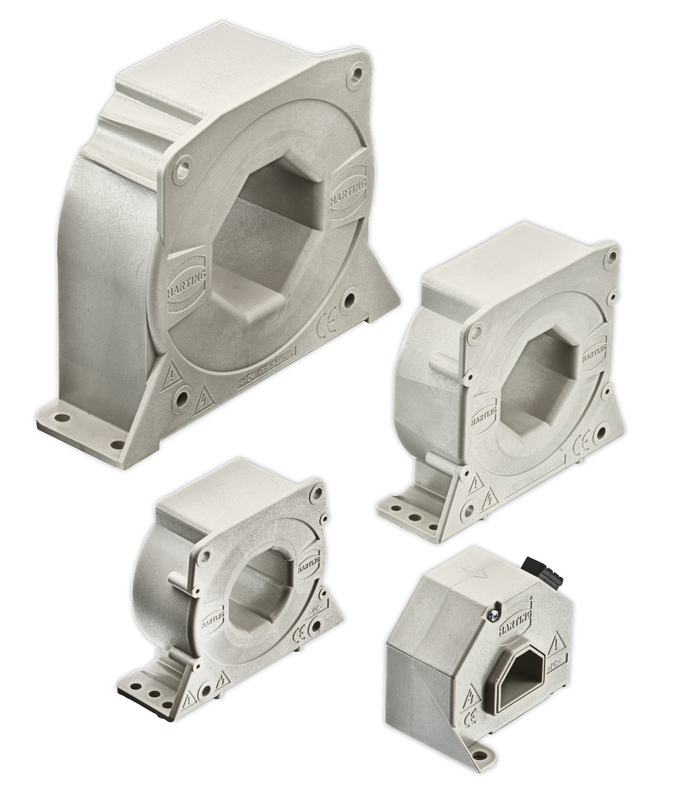 These sensors are available for rated currents from 200 to 2000 A, and with a measuring range of up to 4000 A.
HARTING's current sensors are used in wind turbines, traction converters, welding and solar inverters, as well as in the drive controls for machines and cranes. They comply with a wide range of local requirements. HARTING's current sensors can be easily integrated into existing applications. They have standard installation dimensions. Versatile termination techniques and pre-assembled signal cables ensure that the installation is fast and safe. Users do not need to purchase the matching mating connector or the associated cables. Closed-loop current sensors (compensating current sensors) are available for demanding measurement tasks. Open-loop current sensors (direct-imaging current sensors) can be used for less demanding requirements. 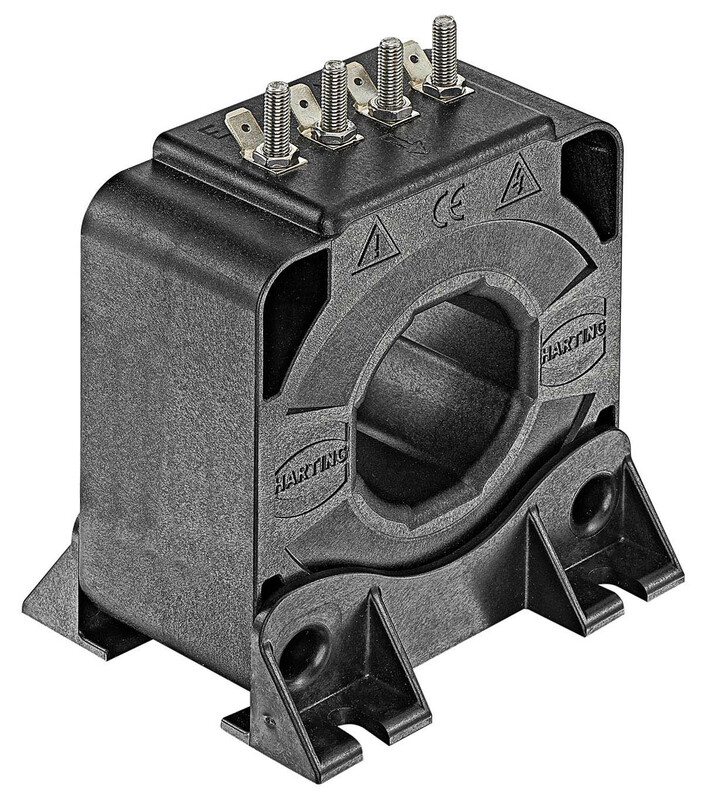 HARTING, with its HCM series, offers special industrial current sensors. Their functionality is based on the compensation principle (closed-loop). They feature excellent measuring accuracy and short response times – so the HCM current sensors are ideally suited for precise control tasks (e.g. in frequency converters). The current sensors in the HCMR series are specifically designed to comply with the requirements of railway applications. Their functionality is based on the compensation principle (closed-loop). With their excellent measuring accuracy and short response times, the HCMR current sensors are ideally suited for precise control tasks (e.g. in traction converters). Their robust design and the high degree of protection against overvoltages help them to avoid faulty switching during operation. With its HCME, HARTING has developed a new series of current sensors that work according to the principle of direct mapping – open loop – and use rectangular cores. The devices achieve a precision that, in many installation situations, can only be reached with considerably more expensive compensation current transformers. 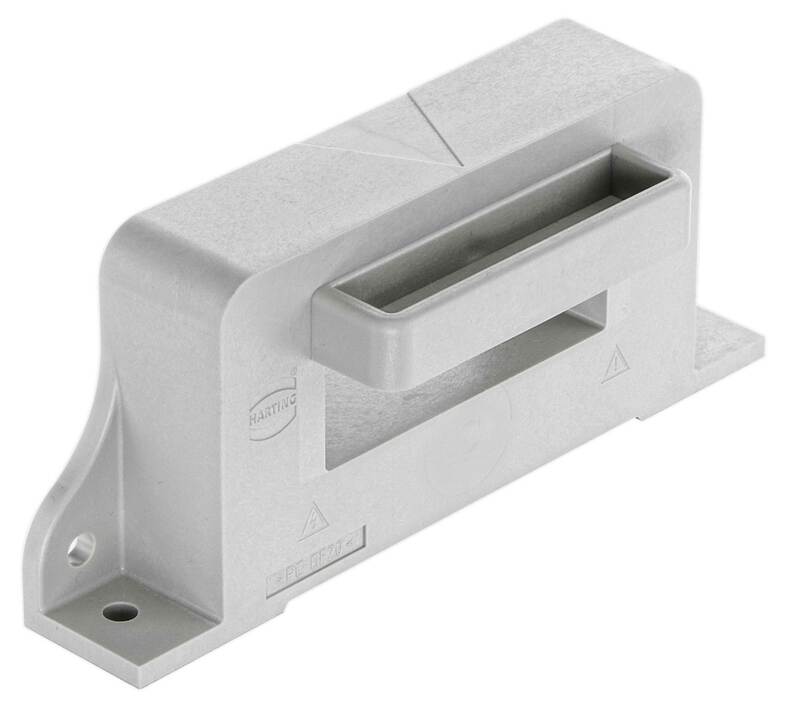 Thanks to the rectangular shape, the new sensors save space and can be easily installed on a power rail.